HP EliteBook 820 G1 is a powerful notebook that is targeted at business users. Aside its durable look, the computer has sight set on attracting business users based on its high portability as well as other features that such customers will find highly useful. Encased in a very strong magnesium casing, HP EliteBook 820 G1 should be very easy for business people to lug around, judging from its weight of just around 1.5 kilograms. The keyboard is well designed, similar to what HP laptops are known for. Users can expect rugged performance from this notebook, having been subjected to military-grade testing for drop and shock, amongst others. HP EliteBook 820 G1 is fitted with a 12.5-inch LED display with a resolution of 1366 x 768 pixels. It should make for easy outdoor use given the matte nature of the screen. HP EliteBook 820 G1 units are fitted with powerful processors, with users having the option of choosing between an Intel Core i3, Core i5, or Core i7 processors. The chip is backed by an Intel HD Graphics 4400 processor for graphics. A RAM of 4GB is provided on the standard model, with 8GB memory available on the model with Intel Core i7 processor. In all, the HP EliteBook 820 G1 can take up to 16GB of RAM. Obviously because of business users’ preference for Windows 7, the laptop comes pre-installed with that operating system, but users who prefer Windows 8 can buy models with Windows 8 Pro. Businesses love their machines to be secure – HP apparently paid attention to that criterion as well. 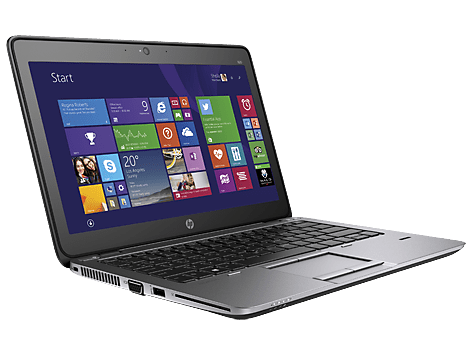 In addition to Microsoft Security Essentials that comes pre-loaded, HP EliteBook 820 G1 comes with Trust Circles and Theft Recovery features. Trust Circles provides access to an encrypted cloud storage service, while Theft Recovery feature allows users enjoy remote tracking service. There are also other security features to keep business users’ mind at rest, including fingerprint protection. Onboard storage options include a solid-state drive of 128GB to 256GB capacity or a 320GB to a 500GB hard drive. HP EliteBook 820 G1 is provided with a generous array of connection interfaces, including four USB ports (including three USB 3.0 ports), a DisplayPort and a card reader. HP EliteBook 820 G1 laptops are available in Nigeria. HP EliteBook 820 G1 price in Nigeria starts at around N175,000, depending on your location and the configuration of the laptop.